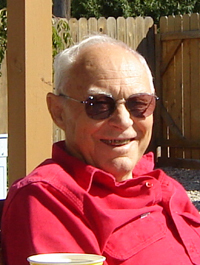 Melvin Wayne Swanson passed away peacefully after a long battle with cancer at his home at the age of 77. Melvin was surrounded by his caring family at the time of his death. Melvin "Swell Mel" was born to Arthur and Dagney Swanson in Sarles, N.D., on June 6 1930. Melvin spent most of his life as a farmer in North Dakota and Idaho. He also spent time as a carpenter during the winter months. You could always find Melvin and Elvera at the sports activities that the children, grandchildren and even some of the great-grandchildren participated in. Melvin just celebrated his 42nd wedding anniversary with his wife, Elvera. Between the two of them they have eight children, 20 grandchildren and 17 great-grandchildren. A celebration of Melvin's life will be held at 4 p.m. Wednesday, May 28, at Liberty Park (behind the rec center) in Nampa. Everyone is invited. Arrangements are under the direction of the Nampa Funeral Home, Yraguen Chapel. The family wishes to have all donations sent to Legacy Hospice, 680 South Progress, Meridian, ID 83642.